I mentioned on my last Bangkok post that photos for the next two days would be courtesy of Anne, since I lost all of mine in a memory card mishap. Yeah, that happened. 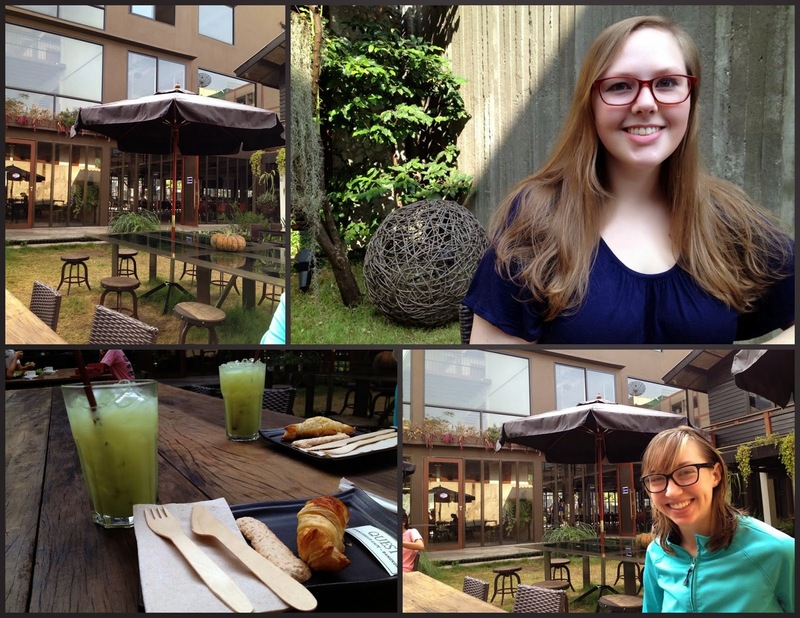 We began our day with some breakfast at a really relaxing café near our hostel. I just loved the atmosphere of that place. We ordered inside, then picked a table outside on the lawn. It felt more like we were in a backyard as opposed to some sort of patio. We went back to the river and rode up to Pier 8. We got a bag of fresh mango slices on the walk in (Bill - it was approximately 10,000 times more delicious than that mango you made me eat!). 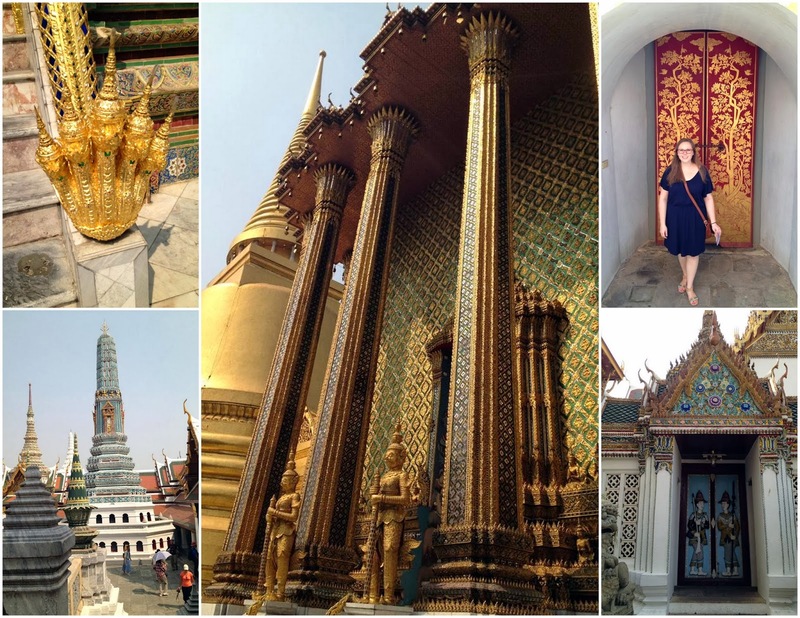 Anne went and saw Wat Pho while I spent the hour wander walking around, during which I surprisingly discovered that the park I went to yesterday was not far away from Wat Pho. The drivers always start with "Hello, where you going?" and if you answer they'll trap you in and tell you lies so that you'll get a ride from them. I made the mistake of answering one on our way, because we were obviously close enough to get there by feet, so I thought there was no way they'd get us in a conversation. As soon as I said we were going to the palace, the man said "Oh, but you know today it's closed until 14:30 because there's a special ceremony, right?." Oh really? Then he directed our attention to a map where he pointed out places we could visit until the palace opens. But obviously these places were too far away to get there by foot. Not to worry! 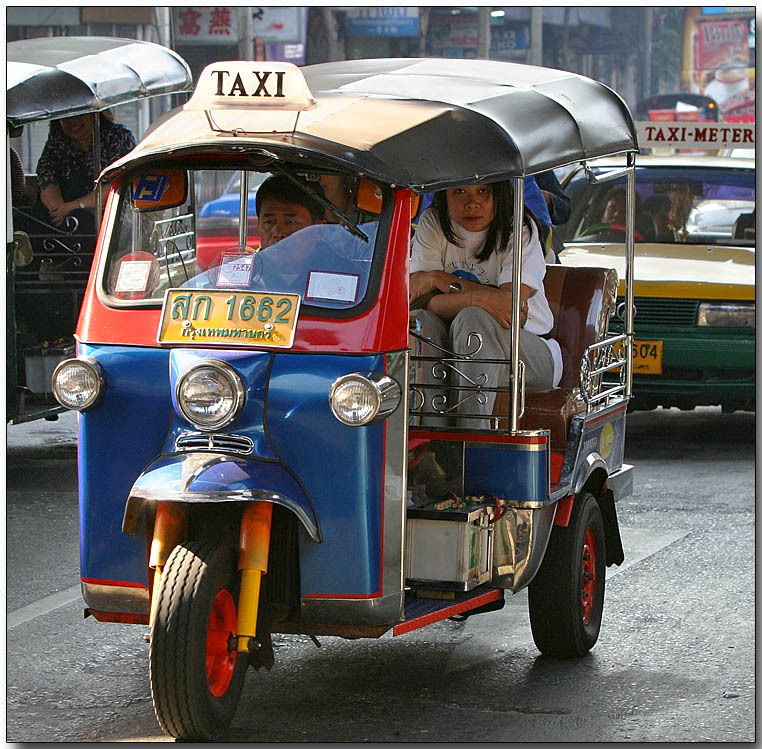 These men could give us rides in their tuk tuks! It was hot, hot under the afternoon sun and we were hungry by the end of our visit (it must have been 15:00 at least). 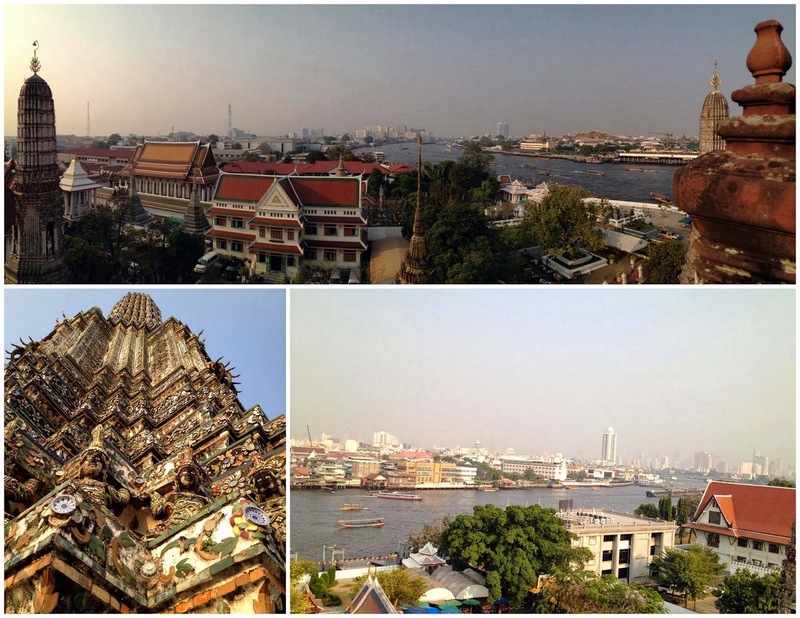 We got lunch back at the port, and then took a 3 baht ferry across the river to Wat Arun. 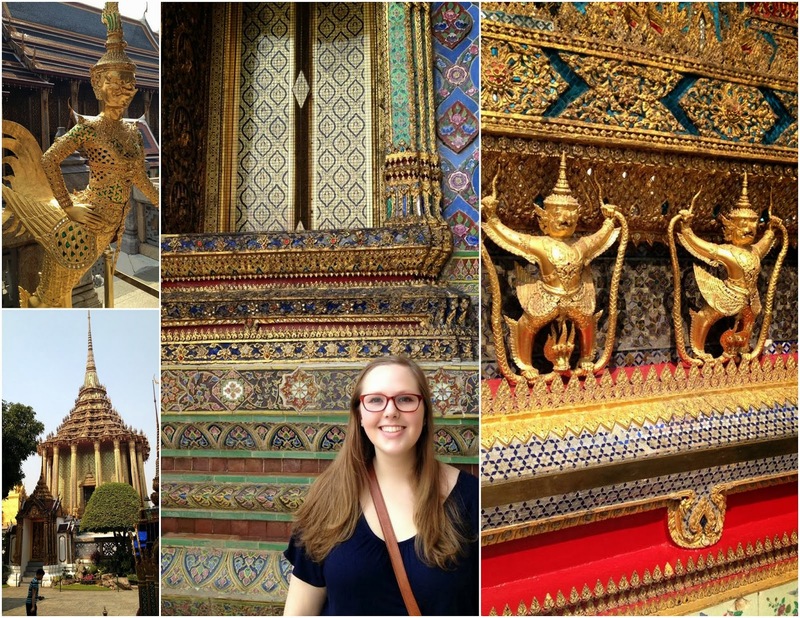 This was one of my most favorite places we visited, and again it's still hard to believe that I lost these pictures. 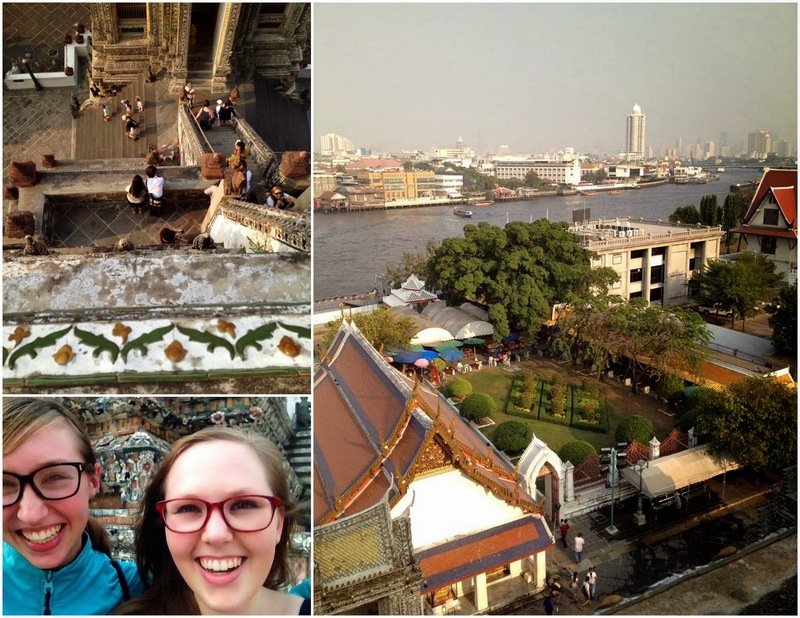 It's a gorgeous Buddhist temple on the coast of the Chao Phraya River, but what made it so memorable was that we could climb up the temple sides. 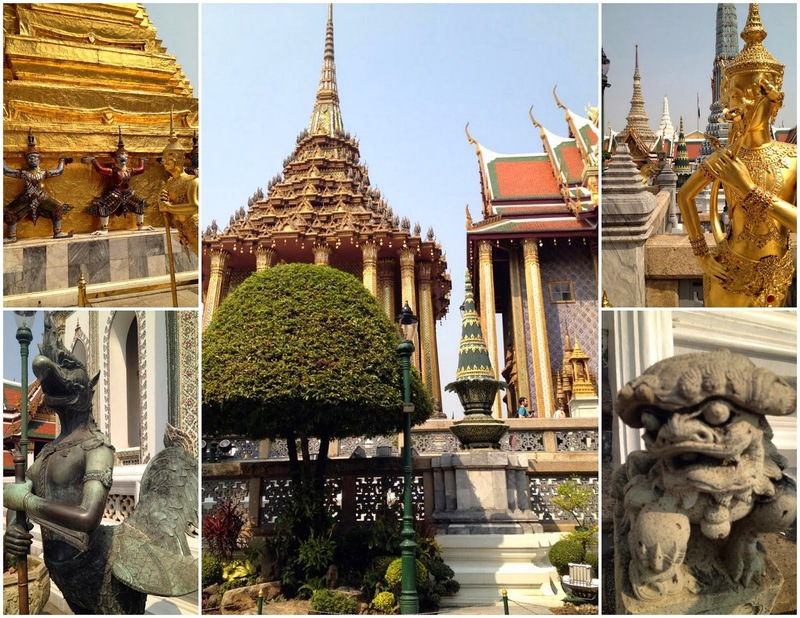 Entrance fee is 50 baht, and then you can walk up should you choose to. 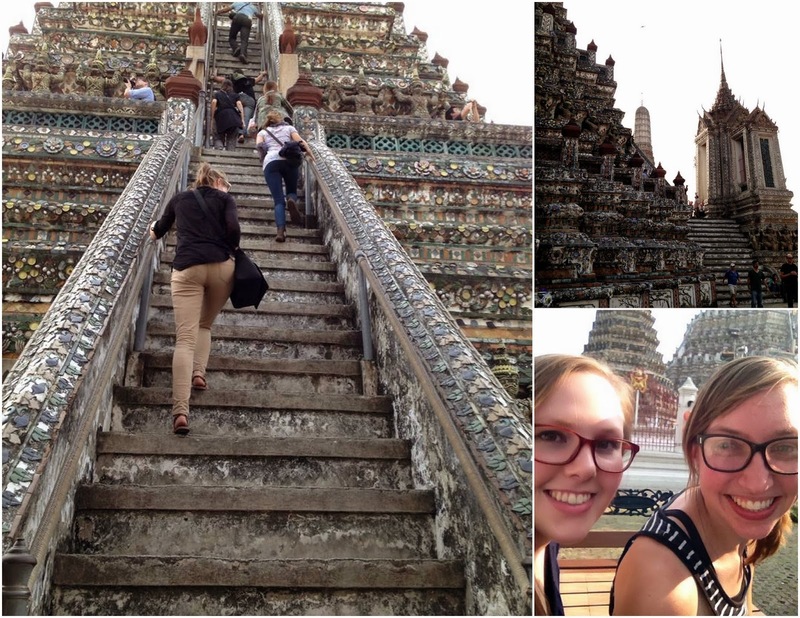 The steps are so steep, and the width is shorter than the length of a foot. 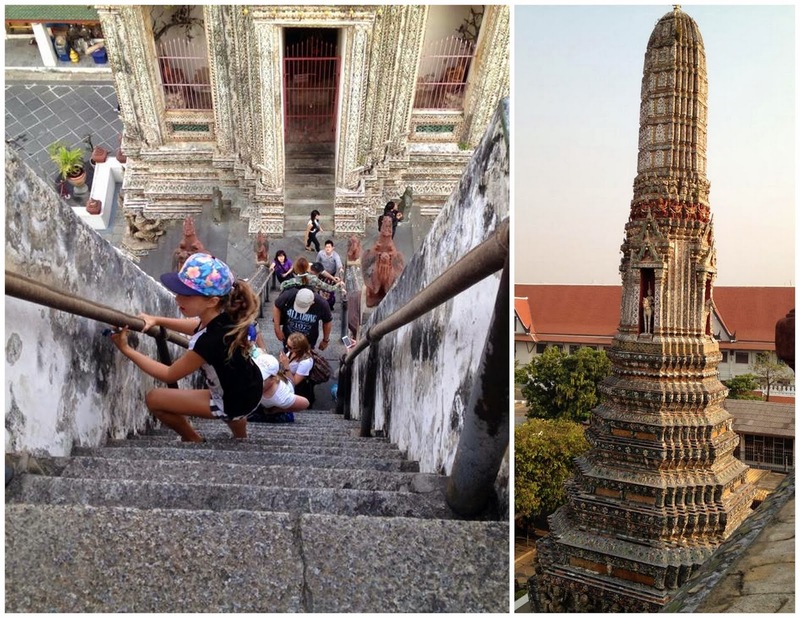 Once you get up to the first level you can go up one more set of stairs -- which are even steeper, and only fit half your foot! Going up was not a problem, you just go slowly and hold on to the rope railing for your dear life. Once at the top we got to admire some great views of the river and top of the temple. It's when it was time to go back down that things got scary. You see, standing at one of the four stairways from the very top, it's nearly a full drop-off. So steep, so steep! My hands started to get sweaty. One wrong move and you're done for. All my eyes saw was the huge distance of nothingness below, because the stairs were more like a wall than stairs. Let's just say that a considerable amount of time passed between when we first said "Okay, let's go down" to when we actually went down. And during that time I only got more nervous and freaked out, looking over the edge and watching others come up / go down, including petrified crying children making their way down. ^^All smiles at the bottom! After all of that excitement we ferried back across the river and walked to a bar/restaurant right on the shore. 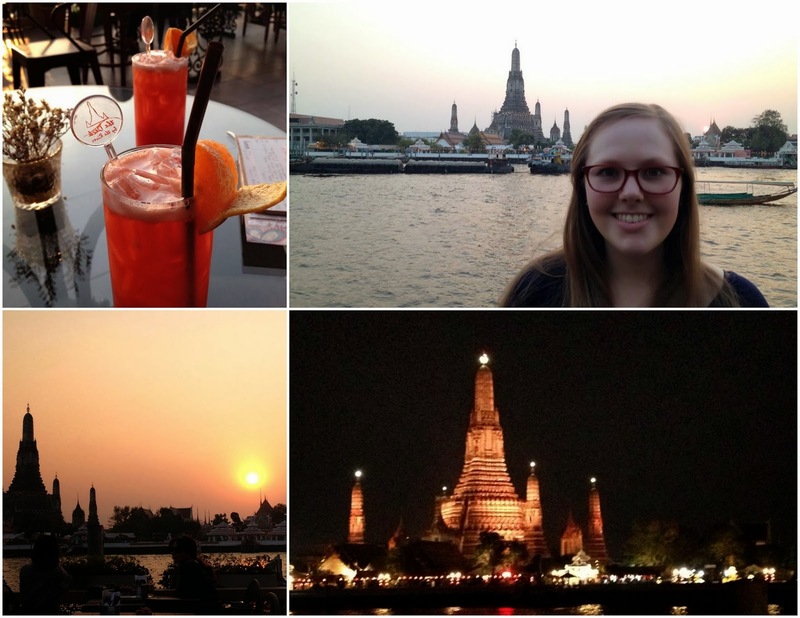 We got drinks and relaxed as we watched the sun set over Wat Arun. We stayed for a second drink as the sky darkened, and then it was back to the hostel for a food street dinner. I would try these tuk-tuk! Wow!